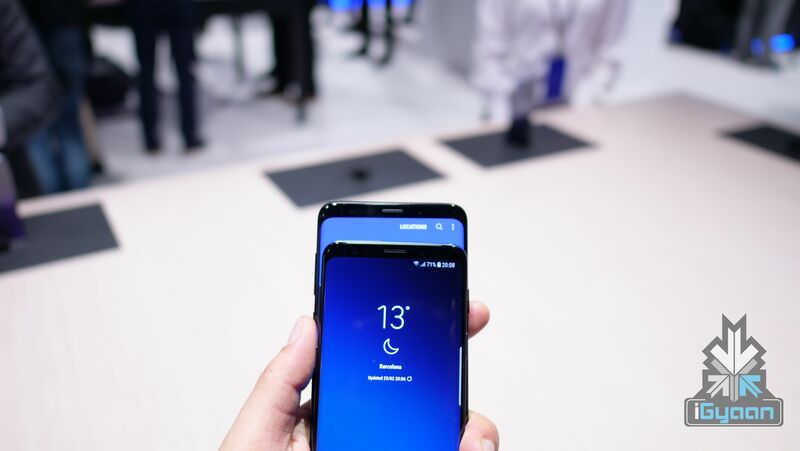 On the 25th of February, Samsung officially launched the Galaxy S9 and S9+ at an event in Barcelona. The two flagship smartphones from Samsung have now been launched in India at a starting price of Rs. Both the smartphones will be Flipkart-exclusive and go on sale from the 16th of February along with the rest of the world. The pre-orders on Flipkart begin at 2 pm on the 6th of March. However, the 256GB variant of Galaxy S9+ will be sold exclusively at Reliance Digital stores, Samsung exclusive stores and on Samsung Shop. The Samsung Galaxy S9 will start a price of Rs. 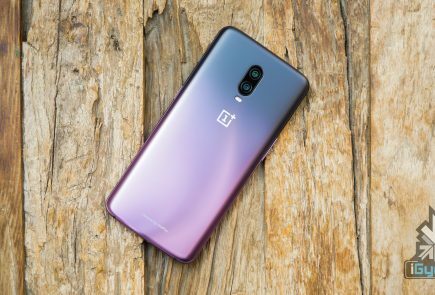 57,900 and the 256GB variant will be priced at Rs. 64900. The Galaxy S9+, however, will start at Rs. 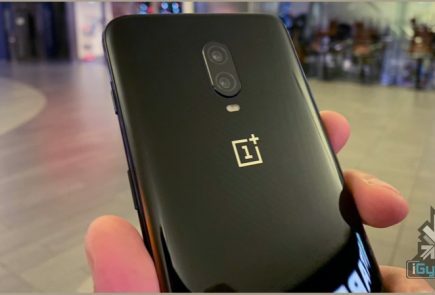 65,900 and the 256GB model will retail for Rs. 72,900. To put things into perspective, the Galaxy S8 was launched at a price of Rs. 57900 and the S8+ for Rs. 64900. 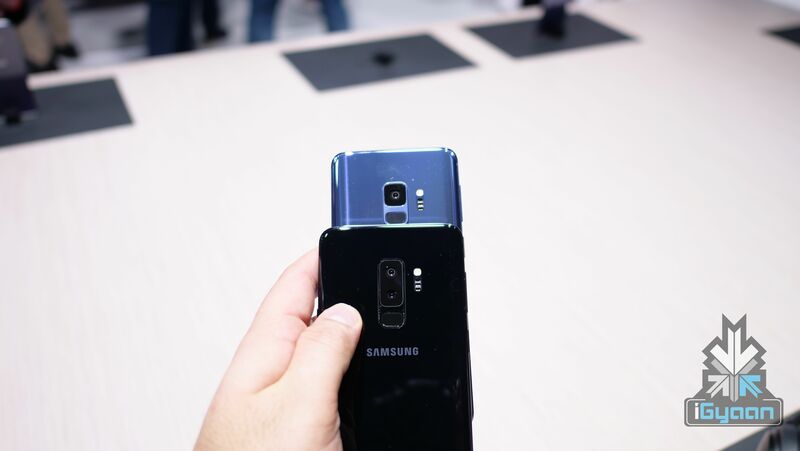 The Samsung Galaxy S9 and its bigger sibling, the Galaxy S9+ succeeds the Galaxy S8 and S8+ as the 2018 flagship phones. Unlike the previous generation, the Samsung Galaxy S9 and Galaxy S9+ have more differences than just the display and battery sizes. Samsung has made the Galaxy S9+ a bit more feature-packed to justify the higher price tag. 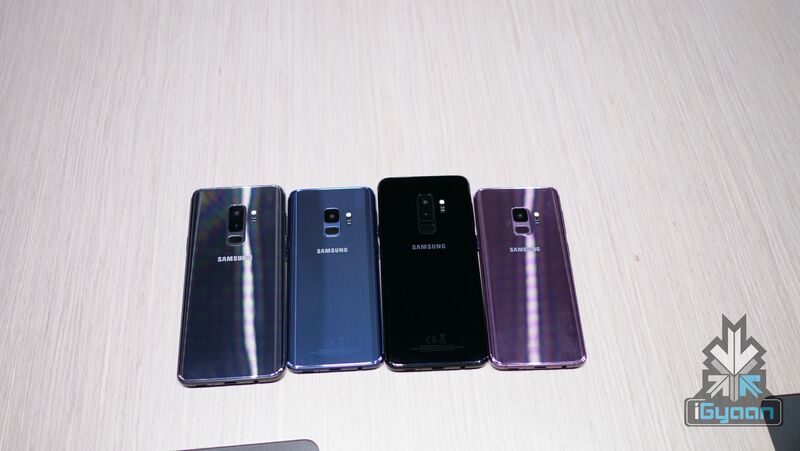 As expected, the Samsung Galaxy S9 and Galaxy S9+ look extremely similar to their predecessors. 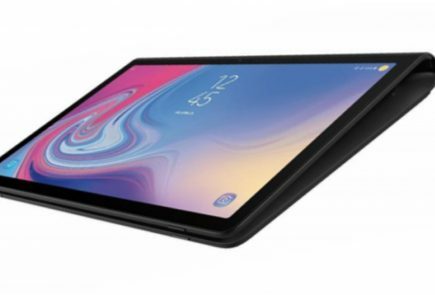 The bezels are slightly thinner but, it is hard to differentiate between the two generations, at least from the front. To the back of the devices is where you see the difference. While the Galaxy S8 and S8+ were two of the most successful Android smartphones of 2017 and were lauded for their looks, there was an issue with the design. Due to the decreased bezels, Samsung had to move the fingerprint sensor to the back of the phone. However, the execution left a lot to be desired as the sensor was placed next to the camera module. It looks like Samsung took the criticism into consideration. The Galaxy S9 and S9+ come with a fingerprint sensor placed below the camera module. This is a much more ergonomic placement for a rear-facing fingerprint sensor. The Samsung Galaxy S9 and S9+ have a new feature similar to Apple’s Animojis. It is called AR Emoji. Basically, the smartphone captures the face data, analyses it, which allows users to make animated versions of themselves. These can later be customised further. The Samsung Galaxy S9 has a 5.8 inch Super AMOLED display with a 2960 x 1440 px resolution. This translates to an 18.5:9 aspect ratio, which means it is slightly taller than the usual bezel-less smartphones. Depending on the market, the Galaxy S9’s chipset will vary. 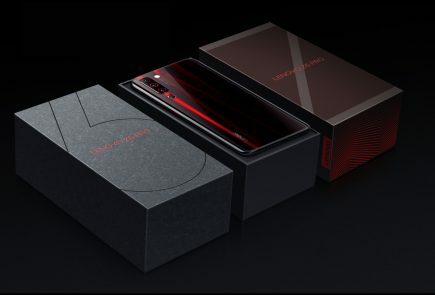 For the US and South Korean market, the S9 will be powered by the Qualcomm Snapdragon 845 chipset. The Galaxy S9 and S9+ are the first-ever smartphones launched with the new flagship chipset. For India, it will be powered by the new Exynos 9810 chipset. Coupled with the chipset is 4GB of RAM and 64GB or 256GB of onboard storage. Similar to a lot of Samsung smartphones, the storage will be expandable up to 256GB via a MicroSD card. 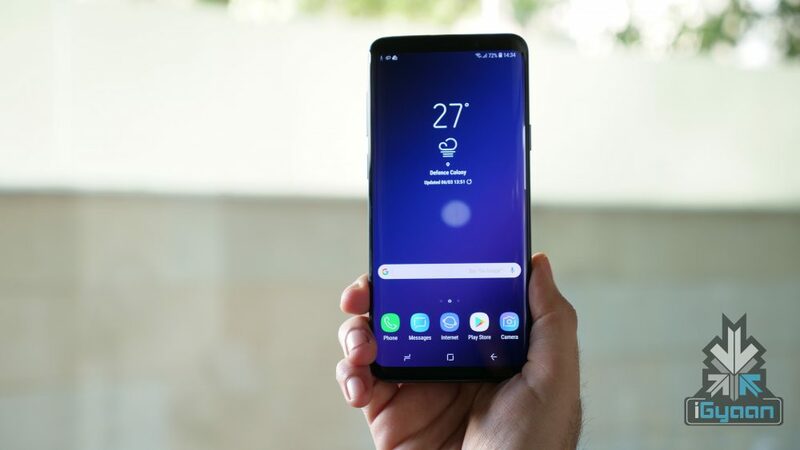 Out of the box, the Samsung Galaxy S9 will run Android 8 Oreo with Experience 9.0 on top. Powering the smartphone will be a 3000 mAh battery, just like the Galaxy S8. The smartphone will support wireless charging. Similar to its predecessor, the Galaxy S9 also has an IP68 rating for water and dust resistance. The Galaxy S9 also has a dual stereo speaker system tuned by AKG and Dolby surround sound. The Galaxy S9 has a single Dual Pixel 12 MP sensor with dual /1.5 and f/2.4 apertures. In bright lighting conditions, the camera will use the f/2.4 aperture, while the wider f/1.5 aperture is used in dark lighting conditions. 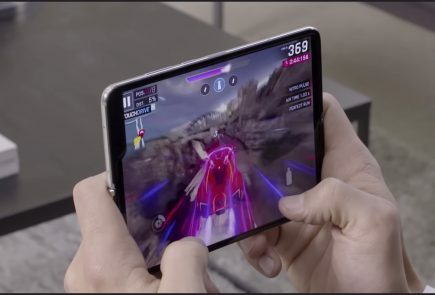 It also captures 720P videos at 960fps and 4K videos at 60fps, similar to the Apple iPhone X. On the front of the smartphone is an 8MP camera with an f/1.6 aperture and records 4K videos. As is with its smaller sibling, the Galaxy S9+ has the same screen size as the Galaxy S8+. It sports a 6.2 inch Super AMOLED display with a 2960 x 1440 px resolution. 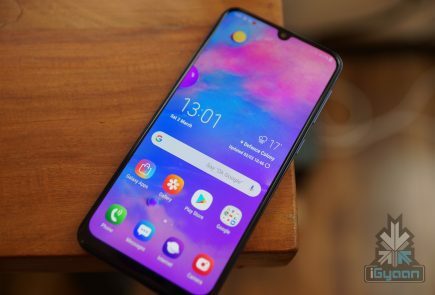 Under the hood, it will either be powered by the Exynos 9810 chipset. Unlike the Galaxy S9, the S9+ will be available in 6GB RAM/64GB storage and 6GB RAM/256GB models in major markets across the world. Out of the box, the Galaxy S9+ will also run Android 8 Oreo with Experience 9.0 on top. Powering the smartphone will be a 3500 mAh battery, just like the Galaxy S8+. The smartphone will support wireless charging. Similar to its predecessor, the Galaxy S9+ also has an IP68 rating for water and dust resistance. The main difference between the two S9 models this year is in the camera department. 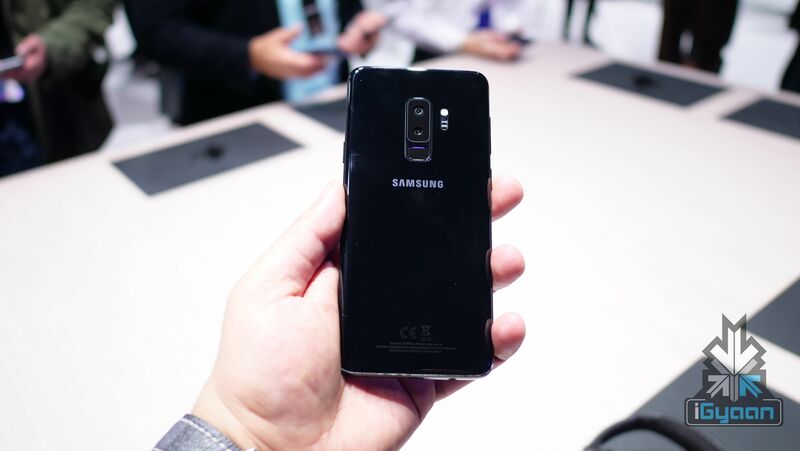 Unlike its predecessor, the Galaxy S9+ has a dual-camera setup on the back. The Galaxy S9+ has one wide-angle 12MP camera with an f/1.5 aperture and the other is a 12MP telephoto lens with an f/2.4 aperture. The telephoto lens is the same one found on the Galaxy Note8, which means it has OIS. On the front of the smartphone is an 8MP camera with an f/1.6 aperture and records 4K videos.